Oh hello there, it’s been a while. This is the stuff that’s hard to talk about, and it has taken me a few days to commit my thoughts to the page (or… space?). As I excitedly wrote about in one of my last posts, this past Saturday I was supposed to see Radiohead and Caribou play at Downsview Park in Toronto. 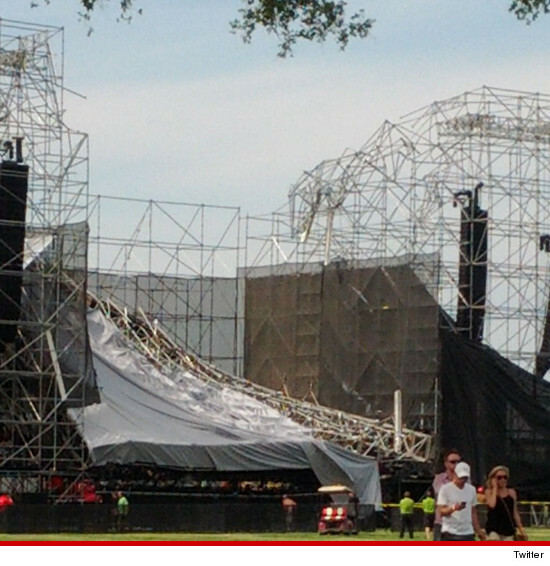 Tragically, just hours before the gates were supposed to open to let people in, the entire stage collapsed. 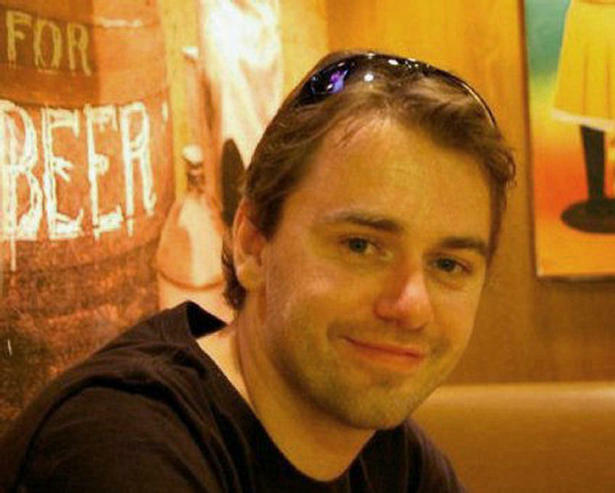 The incident resulted in the death of 33-year-old drum technician Scott Johnson, of the UK, and three others were injured. We have all been shattered by the loss of Scott Johnson, our friend and colleague. He was a lovely man, always positive, supportive and funny; a highly skilled and valued member of our great road crew. We will miss him very much. Our thoughts and love are with Scott’s family and all those close to him. As you will probably have heard the roof over the stage collapsed at our show in Toronto killing crew member Scott Johnson and injuring three other crew members. The collapse also destroyed the light show – this show was unique and will take many weeks to replace. The collapse also caused serious damage to our backline, some elements of which are decades old and therefore hard to replace. We aim to announce the new dates for these shows on Wednesday 27th of June and will also supply information on how to obtain refunds on tickets if you cannot come to the show on the new date. We will start playing live again at Les Arenes Nimes, Bilbao BBK festival and Lisbon Optimus Alive festival. We will make every effort to offer the fans the very best show possible under the circumstances – thanks for your understanding and support. The show in Toronto was sold out – 40,000 tickets – and I know that every one of us felt that horrible sinking weight in the gut upon first hearing that the concert had actually been canceled. It felt surreal to even be thinking that the band I had been waiting to see for almost a decade was finally performing in a city where I live. It was equally as surreal to be told that no, that actually wasn’t going to happen. I am sure there are thousands upon thousands of other fans who will be profoundly disappointed to read the news of these canceled shows. That is the kind of disappointment that we learn to live with, because the vastly more terrifying truth is that any of us could die in an instant, like Scott died last Saturday. After the initial shock of the tragedy wore off, I began considering what could have happened if that stage had collapsed just an hour or two later than it did. I had friends who were 113th and 114th in line for the concert, so they would have been front and center when it happened. That’s not to mention how many more sound technicians, security guards, equipment managers – hell, even band members – would have been on the stage at that time. Once the grounds filled with 40,000 ticket-holders, that collapse would have triggered a massive stampede of frantic people just trying to escape but harming each other in the process. I couldn’t help but think of the trampling that happened at Germany’s electronic dance fast, Love Parade, in July 2010, due to overcrowding and panicking. The positive energy that a mob generates at a concert like this can be invigorating, truly inspiring, adrenaline-pumping bliss, but it can also turn into something ominous – dangerous – between one breath and the next. This panic undoubtedly would have culminated in more injury, or even death, on Saturday evening. That train of thought may seem unnecessarily morbid, but in the end I am only grateful to think that the tragedy did not claim more lives. As the members of Radiohead indicated, my thoughts are with Scott Johnson’s family and friends, who are grieving for much more than a missed concert opportunity.